A special lecture took place in Leicester on friday 9th December. It was part of a series of events undertaken by the Sikh Museum Initiative (SMI) related to the Anglo Sikh Wars which took place between the Sikh empire and the East India Company between 1845 and 1849. The night was hosted by Daljit Singh Makan who spoke about the prestigious venue of Newarke Houses Museum the same location for the exhibition on the Anglo Sikh Wars which will be taking in 2017. He paid tribute to the research work of Amarpal Singh Sidhu who has authored two books namely 'The First Anglo-Sikh War' and the recent 'Second Anglo-Sikh War'. He then introduced Sikh Museum Initiative's Gurinder Singh Mann who gave an introduction to the Anglo Sikh Wars and the project: Battles, Treaties and Relics. 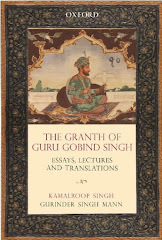 Gurinder discussed the background to the wars namely how they started as well as alluding to how the Sikh empire had changed after the death of Maharaja Ranjit Singh. In reference to the battle of Ferozeshah he stated that the British had feared the worst after the first day of fighting and were almost ready to concede defeat with certain documents being sent to be burnt. However duplicity on the part of the commanders Raja Lal Singh and Tej Singh effectively robbed the Sikhs of victory. Proceedings then turned to the anniversary lecture where Amarpal Sidhu gave a fascinating account of the battle which took place between 21st and 23rd December 1845. Using rare photographs and paintings Amarpal explained the key events in the battle. He showed different vantage points where the Sikh and British armies would have lined up. The audience was receptive to this relatively unknown battle which he stated could have changed the course of British and Sikh history. He also talked about the different memorials and Gurdwaras which had been created in respect of the battle at Ferozeshah and Mudki. Another unique aspect of the talk was related to the Akali battle standard which was captured at Ferozeshah by the British which has been on display at Lichfield Cathedral in the UK. Map showing the positions of the British and the Sikhs at Ferozeshah. This was followed by a questions and answers session from the participants. There was also a number of Sikh relics and artefacts on exhibited by Rav Singh who undertakes the' A Little History of the Sikh Tours' in the UK. The participants ranged from Gurdwara representatives, members of the British Army, different faith groups, and partners of the project as well as the general public. The lecture was filmed by the Sikh Channel in the UK and will be aired shortly. Photography was provided by Punjab 2000. Refreshments was also served to all those attending. The Sikh Museum Initiative will be undertaking more events in 2017 as as well as unveiling the Anglo Sikh Wars exhibition. More photos of the event can be seen on the media pages.